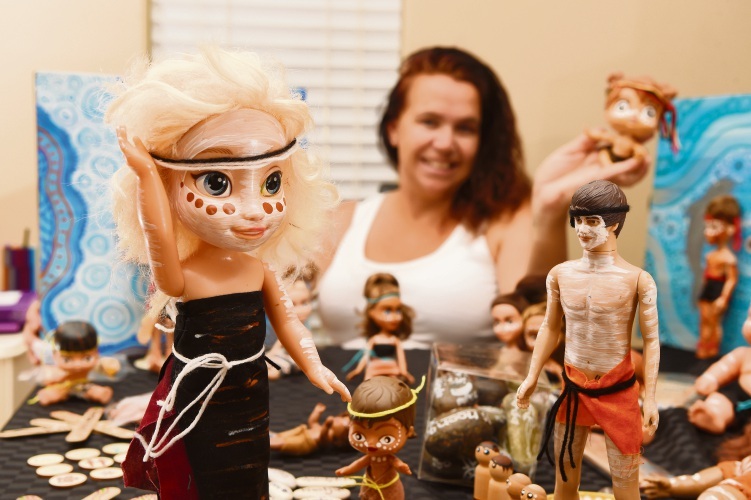 Halls Head mother Bianca Willder gives Bratz dolls an indigenous makeover and ships them around the world. Picture: Jon Hewson. A GAP in the doll market has resulted in a booming business for Halls Head mother Bianca Willder. 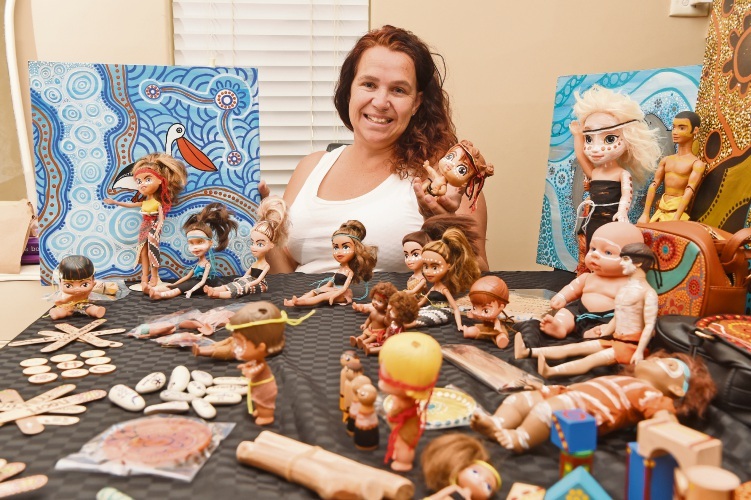 The Noongar mother of seven up-cycles Bratz dolls to give them a unique indigenous look. She has sold hundreds of dolls around Australia and the world, including America and New Zealand. Her Facebook page, Noongar OOAK Creations has more than 2000 likes. Mrs Willder said her main clients were foster parents and the Department of Child Protection. She donates many of her dolls to children in care. Mrs Willder uses her dolls at Riverside and Glencoe primary schools to teach students about Aboriginal culture and kinship. “I started making them three years ago when one of my daughters asked for a doll that looked like her,” Mrs Willder said. Mrs Willder said it was important for children to have dolls with which they could connect and identify. “Dolls should be in all different colours and all different shades,” she said. Mrs Willder sources the dolls from second hand shops, Gumtree and sometimes EBay. She decorates the dolls “between all the chaos” of raising children aged 10-weeks to 19-years-old. Mrs Willder said it was important for her children to be proud of their heritage.